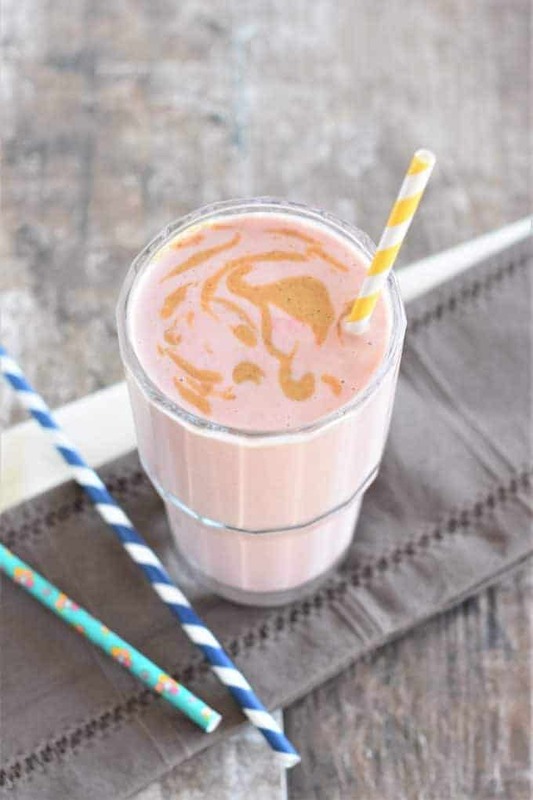 This vegan, no sugar added Strawberry-Banana Peanut Butter Smoothie is a nutritious and delicious way to start your day! Well, I have a confession to make. This smoothie was inspired by one of my favorite food combinations growing up…strawberry ice cream and peanut butter topping. You might think this is weird. At least, all of my friends did when we went to Friendly’s for ice cream. Anyway, I’m going to prove that strawberry ice cream and peanut butter topping is not a strange food combination. What does good old PB&J have to do with this, you ask? Well, the facts show that peanut butter and jelly is a perfectly acceptable, well-loved food pairing. But, I wonder…what if that jelly happens to be of the strawberry variety? Aha! See, it IS totally normal! Add 1 cup of frozen strawberries, 1 frozen banana, 1 cup of coconut milk and 2 heaping tablespoons of glorious peanut butter to a high-powered blender (I used my Nutri Ninja). Blend until smooth and ingredients are well-incorporated. So, what do you think? Have you ever tried strawberry ice cream with peanut butter topping? What’s your favorite food combination that others think is unusual? Add all ingredients to a high-powered blender, and blend until smooth and well-incorporated. This recipes makes one 16-ounce serving or two 8-ounce servings. I thought I was the only one! I love adding banana slices to my strawberry PB&J, so I know this is going to hit the spot. Yay! Glad you like this combo! Hope you enjoy the smoothie! 🙂 Thanks Morgan! 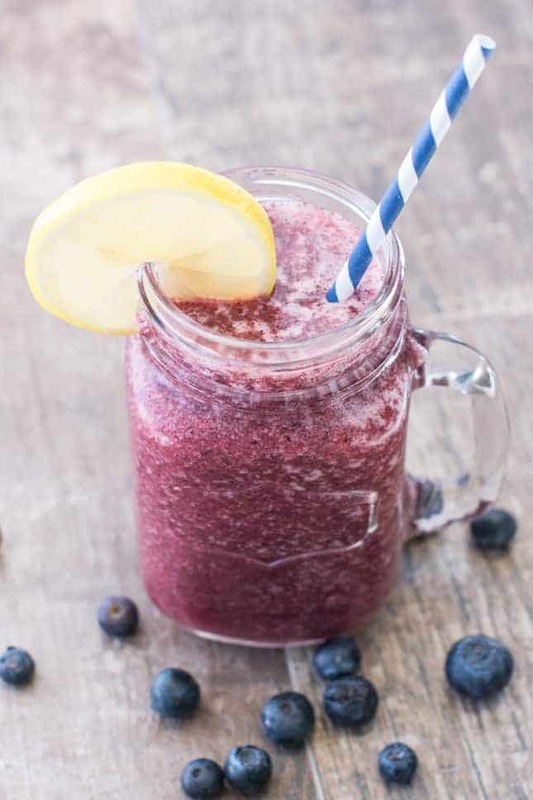 This smoothie looks and sounds so good! I love that it is sugar-free! I need to try this! 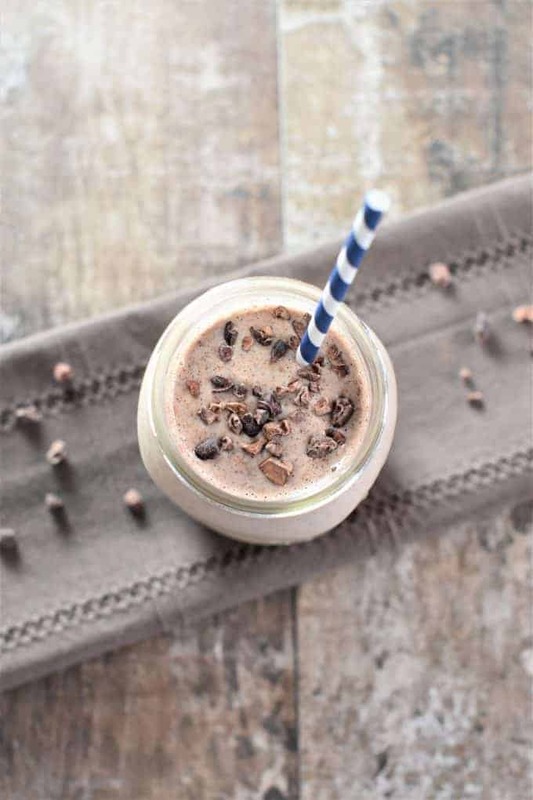 I love adding peanut butter in to my smoothies for an added protein boost. Interesting! I usually add peanut butter to chocolate smoothies, but it looks SO good swirled with the strawberry. This is next on my list to try. Great flavor and taste…good for mid day substitute for breakfast or lunch! Keeps u full! !